Sadie came into my life when she was eight and I was twelve. Her older sister and I had become close friends with the start of junior high and we quickly became fixtures at each other’s houses, which were blocks away. As the years passed and her sister and I became best of friends, Sadie’s family became my second family and she became the little sister I never had. From sleepovers, pizza nights and everything in between, Sadie was always there. Being four years younger, there were times she drove us crazy as any typical little sister would. But, more often than not, she was a goofy, adorable little girl who would do anything to make you smile. Time passed. I went off to college and moved out-of-state, Sadie graduated high school and remained in our hometown. Her sister and I remained best of friends, so while I didn’t see her much, I always kept up to date on her latest adventures. Over the past few years Sadie’s life had changed dramatically. She had met the love of her life, got engaged, bought a home and gave birth to a beautiful baby boy. Her dreams were coming true and the future looked promising. All of that came to a crashing halt last week when I got word that Sadie had suffered a massive stroke after surgery and wasn’t going to make it. A surgery that she was expected to make a full recovery from; a surgery that was supposed to be the answer to ten years of unexplainable symptoms and headaches; a surgery that was supposed to “cure” her. Instead, the next morning I got a phone call saying she was gone. Not gone for a few weeks; not gone for a few days; but gone. Gone forever. I cried. I cried like I hadn’t cried since my mom died seven years ago. How could this be? This couldn’t be true. “Why? !” I screamed to God. “How could YOU take away this beautiful, young, vibrant woman. How could YOU leave her baby boy without a mother?” There was no answer. There never is. I wanted to escape the pain and sadness I was feeling. I just wanted it all to go away. I wanted to wake up from this horrible nightmare. In another life, I would’ve found escape in a bottle of wine. I would’ve drank until the numbness took over and I couldn’t feel anymore. But, not now. No, now, I had to feel it all. Somehow, I felt like I owed it to Sadie to feel everything. The sadness, hurt, anger, resentment. Her life was worthy of all these feelings and I needed to feel them. I’m still in a state of shock. My mind tells me one thing, while my heart tells me another. I know she’s gone from this world, but I’m not ready to fully accept it yet. I hurt terribly for my best friend, her sister. I hurt for her mom and dad. I hurt for her fiancé and baby boy. I hurt for everyone who loved her and had the privilege of being touched by her life. Sadie grew into a beautiful woman who radiated joy and happiness. But, it’s not Sadie the woman I see when I picture her in my mind. Instead, I see the eight-year-old little girl with the bowl haircut riding in the backseat of her mom’s Oldsmobile, jumping out of the car and waving goodbye as we dropped her off at elementary school. Goodbye sweet girl. Until we meet again. I will carry Sadie’s memory in my heart forever. Her smile, her laugh, her love of life – I will cherish it always. Her love of children was undeniable. Like my mom, she was one of those rare people who children were drawn to. I often wonder if God needs more people like that in Heaven. If we can’t have them here with us, I like to think that Sadie and my mom are watching over all the little ones who have gone before us. I will honor Sadie’s memory by living life as she would have – full of joy, gratefulness and happiness. Never taking herself too seriously, I will play more, laugh more and hug my children more often. I will tell her son how much she loved him and how much she was loved by everyone who knew her. She gave love and received love. And, I will forever be grateful for the love she gave me over the years. I am very sorry to hear of this sadness. Only time helps us to accept the sadness, but even then, the understanding sometimes never comes. You wrote this beautifully – I am sure Sadie’s family will be very touched by your words. I am. Thanks, Ali. Your comment means a lot to me. Well said Chenoa. Even though I was not close to Sadie this has weighed so heavy on my mind and heart. Such a sweet girl taken far too soon. Thanks, Mandie. It’s a sad time, but I find peace in all the memories. I am praying for you, for Sadie, and for Sadie’s family. What a tragic story. I am proud of you, Chenoa, for staying sober through the grief… not an easy thing to do. Thanks, Josie. Your support means a lot. Oh, I’m so sorry for your loss. What a tribute to Sadie. I feel like I knew her after your lovely heartfelt post. I will smile at someone for Sadie today. Hugs. Beautifully written! You honor Sadie’s life with this post. You paint such a picture of her bright life, I can actually picture that little girl running off and waving good bye too. I am so sorry for your loss and proud of your bravery to “feel” those feelings that, we alcoholics, crave to cover up. God Bless you and Sadie! Chenoa, Many years ago my best friend’s younger sister was killed along with her baby in a head-on car crash. I had that same relationship since I was in pre-school and she was a toddler. I completely understand the grief and ache in your heart not only for your best friend and family but for your own loss. It is faith in the Lord and His promises of eternity that have brought great comfort all these years to her family and mine. This was my best friend’s only sibling which has been a bit isolating in her loss. The heart does heal and smiles replace the tears (with time) as you know from your own experience. Sending hugs to your heart! Thanks, Toni. I’m so sorry for your loss as well. Sadie was Lindsey’s only sibling and best friend, so it’s been heartbreaking for her. Thanks for your words and support. Thanks, Kristin. I really appreciate your support. I was thinking of you the other day – thinking that summer had swished you away like so many others – missing your writing and posts. But I certainly didn’t want to be reunited this way. I am so sorry to hear about Sadie. The Creator had different plans for her. That is all I can see in this…but like you said, there are no answers…to us, at least. Mere mortals in this mortal coil. Your post is very touching and a tender and beautiful testimony to a wonderful and beautiful young woman. thank you for sharing this – will be thinking about you, but in another way. Be well, Chenoa. Thanks, Paul. I appreciate your support so much. Yes, the summer has taken me hostage! I’m looking forward to school starting in a couple weeks so we can all get back to our regular routines. I miss you guys too! Very well said Chenoa! I think about Sadie, her family and her friends everyday. Thanks so much, Keri. She was a special person and will be greatly missed. Hugs Chenoa! I am so sorry to hear of your loss. SO sad. Grief is tough, it reminds me of early sobriety, so many new feelings and not knowing how to be and what do do and just letting things be. 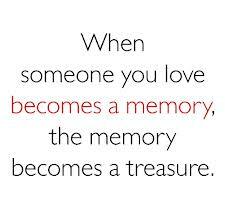 Hang in, cherish your memories! THank you for sharing! You wrote a Beautiful Story and I could feel every word. I knew Sadie way back from grammar school ” Lafayette”. I worked on the play ground and got to know her and her sweet friend Jamie. They became friends with my daughter Mia. We also have known Brian for a while and were thrilled when we found out he was dating Sadie. She was so Sweet and that SMILE…..NEVER will forget it. HUGS Sadie! Thanks, Vicki. I have many memories of Sadie and Jamie at that age too. Such sweet, silly girls! Sadie will always be with us.